Control your equipment remotely by scheduling commands, and detecting the fuel levels of your construction equipment from a central location. Meet all your compliance and regulatory needs, from HOS logs to ELD mandates and inspections, with one proven solution. 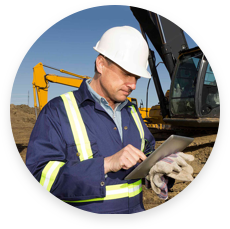 Easily track maintenance and manage equipment inspections with a solution that helps you minimize equipment downtime. 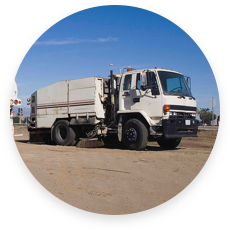 Discover a heavy equipment software solution that will allow you to manage your fleets assets with easy to understand reporting on any sized project while saving you time and money. Ensure your operators are keeping up-to-date and following the latest in safety and compliance requirements, including driver hours of service logs and customizable inspections for vehicles and equipment. Why Do Construction Projects Fail?